Easy to switch to Anti Blank Hammering. Lower gas pressure (only 1,2 MPa). Underwater operation is easily adaptable from GH-6 and up. Shock absorbing cushion rubbers (from GH-7A and up) absorbs vibration and protects integrity of excavator boom and arm. Designed with sealed gas (N2) chamber – no rubber bladder accumulators. Rapid and easy chisel replacement: reduces downtime to a minimum. 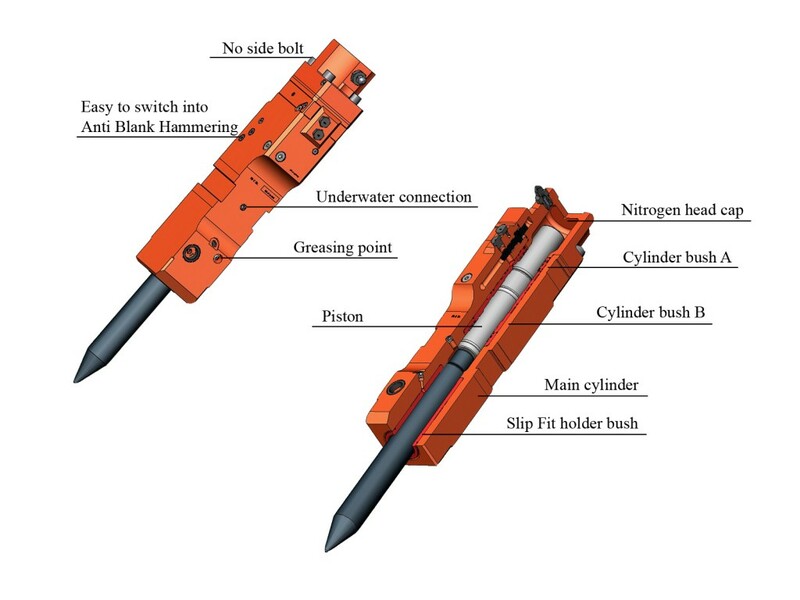 Replaceable tool bushings: prevent wear to main chisel holder body and enhance the life of the breaker. Possibility to mount easily an automatic lubrication system from GH-7 and up. 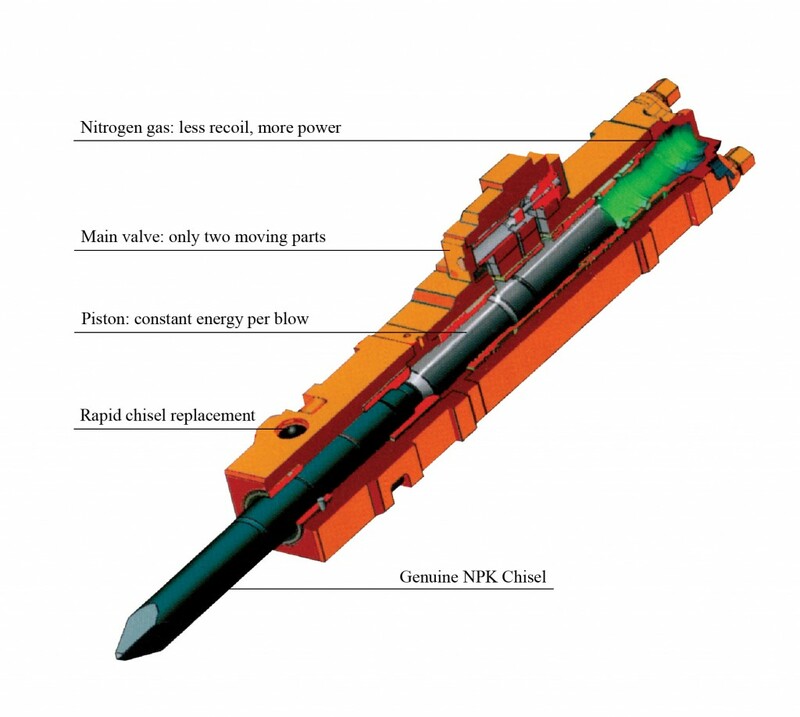 Unique gas charged piston action. The Power of NPK®. Shock absorbing Cushion Rubbers (from GH-7A): low vibration and low noise. The Enviro brackets, utilize special heavy-duty rubber mounts to absorb shock, recoil and impulse vibration. This unique NPK® feature minimizes machine wear and improves operator comfort for greater reliability and productivity. The Core Chisel with its revolutionary steel core, provides extra hardness where it is required: at the point of impact. The benefit being less wear, increased productivity and lower replacements costs! Read more about chisels in NPK technologies.